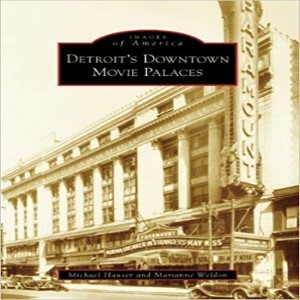 Author, Michael Hauser will present “Detroit’s Downtown Movie Palaces”. In its heyday, Grand Circus Park boasted a dozen palatial movie palaces containing an astonishing total of 26,000 seats. Of these theaters, five remain today, fully restored and operational for live entertainment. Join us for a discussion and book signing as we revisit these beautiful “palaces” through photos and memorabilia. Register at the Adult Service desk or call the library at 734-426-4477. All are welcome.